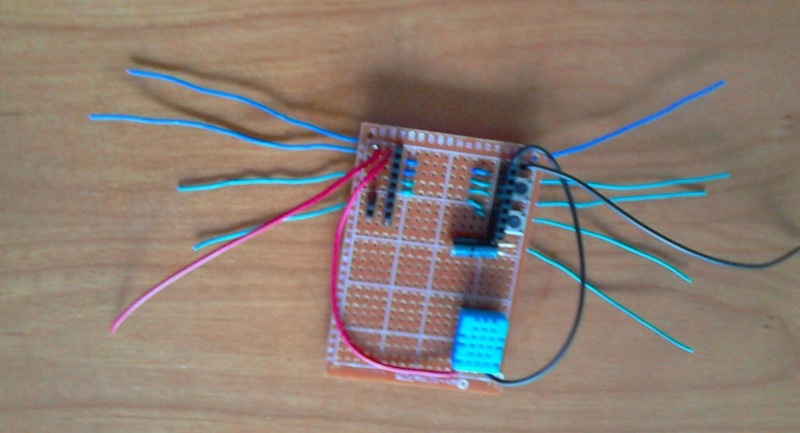 With the cheap ESP8266 development board that i have ( see picture) and a breadboard you can easyly create temporary circuits. 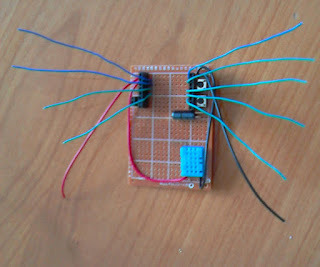 For a more permanent project, after having tested the circuit, you need a different solution. 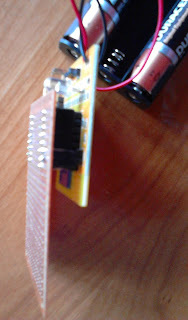 The option present in this article is creating a shield on a PCB experiment print where the ESP8266 module can be plugged in. 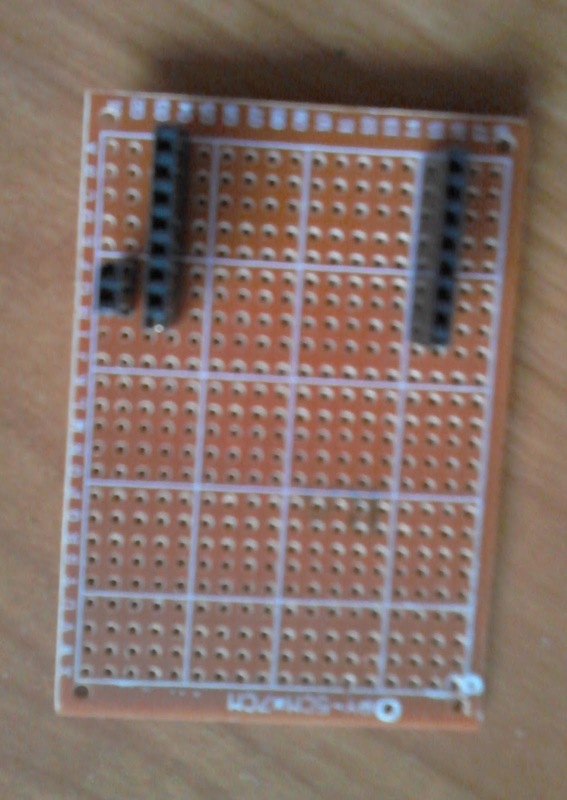 The first step in creating a shield for the ESP8266 development board is removing the LDR replacing it with two male pins. 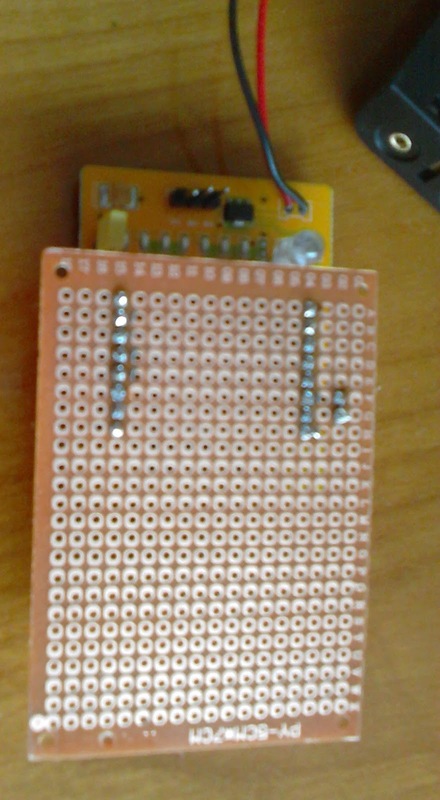 (If you do not need the RGB led you can remove the led also.) 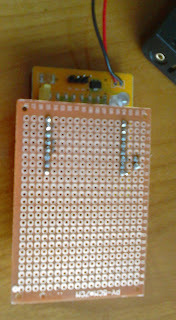 The next step is soldering female connector on a PCB board. 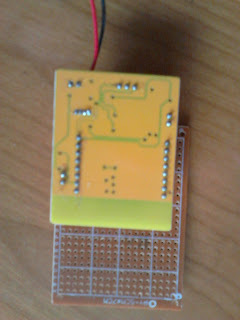 I did put the female connectors first on the ESP8266 development board male pins, plugged in the PCB experiment board and did the soldering. 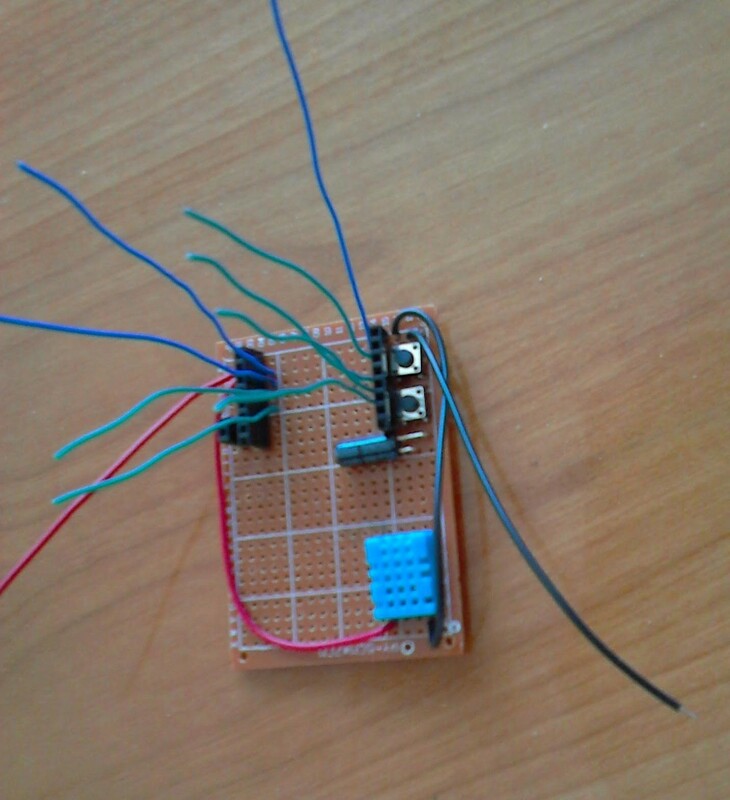 The ESP8266 development board with the PCB shield will look like this. The next step is adding some wires and components for your project. 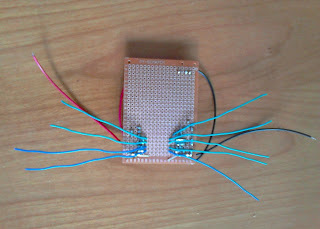 The Signal lines where soldered at line 05 an 14 and a connection was made to the connectors on line 04 and 15. Wires for power where added at A02 and A03 (VCC) and at A16 and A17 (GND). 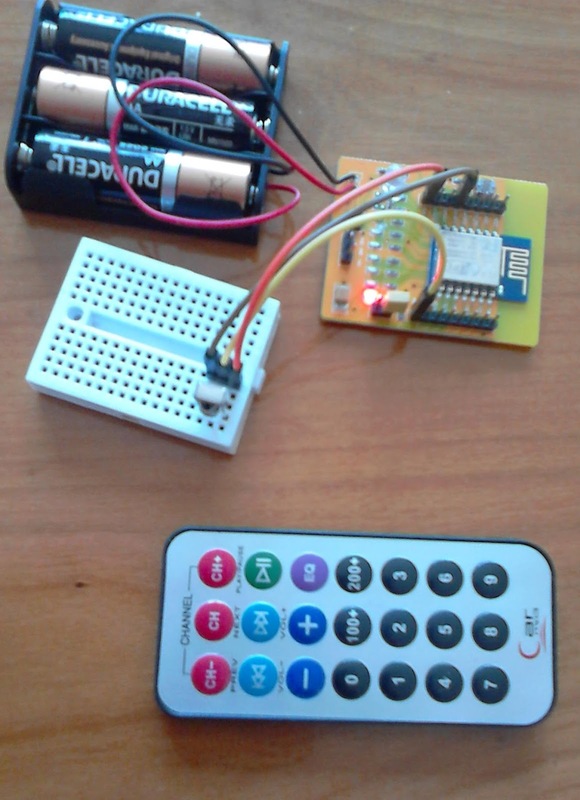 If you add a DHT11 or other sensor to measure temperature (an humidity) it needs to be placed it as far as possible away from the ESP8266 if you don't want to measure the temperature from the ESP8266. Also keep area free around the ESP8266 antenna. 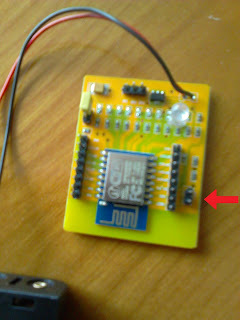 In the pictures you also see two push buttons and a vibration/tilt sensor. 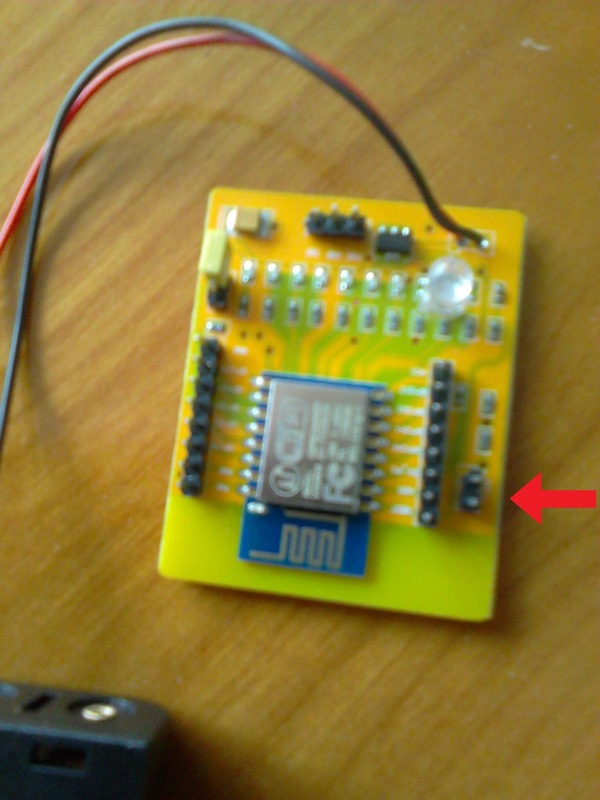 You can also put the LDR, removed from the ESP8266 development board on the PCB experiment print. I recommend adding two male pins (at A01 and A18) as i later i discovered that, when using PCB experiment print and testing the circuit step by step by adding more functionality, it is nice to have additional power connections. 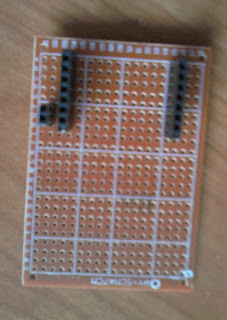 As the component side of the PCB experiment board is faced to the component side of the ESP8266 development module somewires where bend trough the holes to the other side of the PCB. 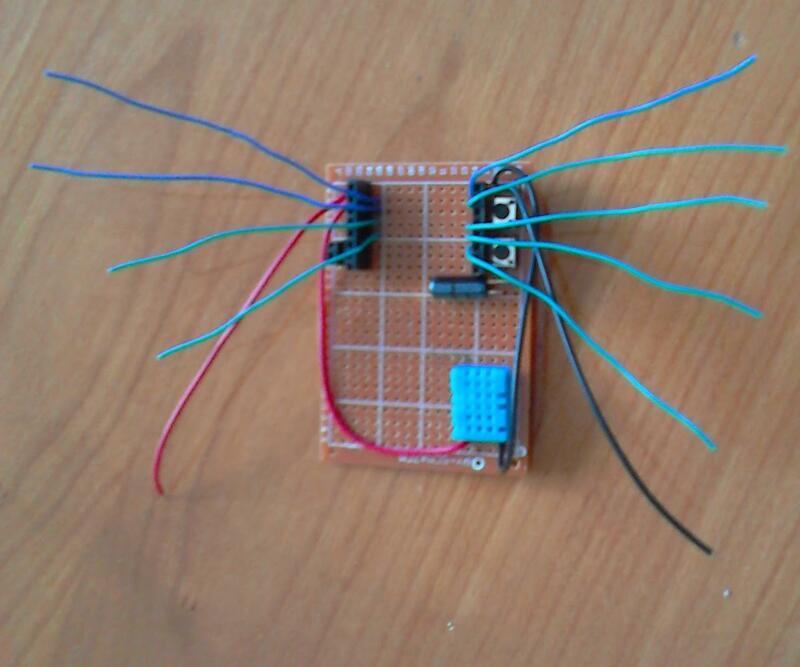 Have fun creating you projects with this easy to build shield.